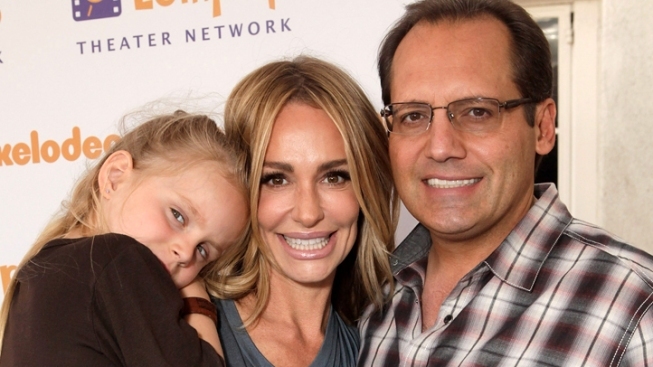 Russell Armstrong, estranged husband to "Real Housewives of Beverly Hills" Taylor Armstrong's committed suicide. Russell and Taylor have a 5-year-old daughter – Kennedy. Russell is survived by other children as well. "The Real Housewives of Beverly Hills" aired as scheduled Monday night, but with a decidedly cautious atmosphere after cast member Taylor Armstrong's husband Russell committed suicide weeks before. Russell Armstrong hung himself Aug. 15, after filming for the show's second season was complete. Difficulties in the Armstrongs' marriage were a storyline in Season 1 and cast members said Russell Armstrong's death came after a separation. The episode began with the housewives (excluding Taylor) discussing the suicide, the Hollywood Reporter said. Then, the footage shot before Taylor’s death began. The cast gathered at Adrienne Maloof's home on Aug. 29 to film a short prologue addressing the suicide for the season premiere on the Bravo network. Producers are editing the ensuing episode and the remainder of the season, presumably to take some of the focus off the couple's marital problems. Taylor told her friends that she and her husband were in therapy. "We're working on things," she said. "We're knee deep into so much psychotherapy that I'm sick of myself. So it's been really helpful for each of us to take a look at our own lives and what we brought into the relationship and how it's affecting our time together." Ken Todd, husband of cast member Lisa Vanderpump, said he felt undergoing therapy was a sign of weakness, upsetting Taylor Armstrong, who called his comments "rude." Russell Armstrong left no suicide note, but cast members speculated financial difficulties may have led to his suicide. They said Taylor Armstrong might not have been aware of the couple's troubles. "The Real Housewives" series of shows thrives on gossip and internal strife among cast members and the Armstrongs' marriage was a frequent topic. Cast members noted in the show's prologue that they often only heard one side of the story, with some regretting they didn't have his perspective on events. "I think we were all told the same thing and we were only reacting to what we've been told," Camille Grammer said. "And what we we've been doing — I think we were all doing it — was we were just trying to protect our friend."